Everything is subtitled in English, and comes with boxart unless otherwise noted. Please note that A/V quality on the video clips is lower than that of the actual DVD. 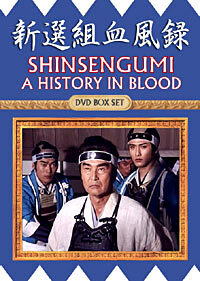 The most beloved and one of the longest running samurai television series in Japanese history has finally been digitally remastered for DVD. 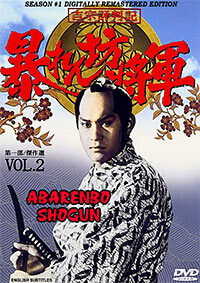 Abarenbo Shogun tells the story of Tokugawa Yoshimune, the eighth shogun who according to legend would travel incognito throughout the nation rooting out injustice while masquerading as an itinerant ronin with superb sword skills. Each exciting episode stands on its own, and ends with spectacular swordplay, albeit Yoshimune only uses the blunt side of his katana, as he refused to soil his blade with the blood of criminals. 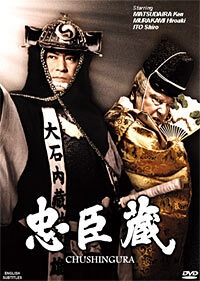 Aided by Edo Magistrate O’oka Tadashi, the bold shogun’s adventures are not to be missed! This volume includes episodes 1, 2, 3, 12, 18 and 21. $15 plus shipping for US and Canada only. $15 plus shipping for everywhere else. 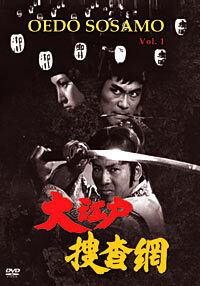 The most beloved and one of the longest running samurai television series in Japanese history has finally been digitally remastered for DVD. 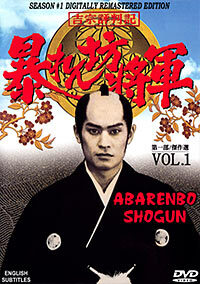 Abarenbo Shogun tells the story of Tokugawa Yoshimune, the eighth shogun who according to legend would travel incognito throughout the nation rooting out injustice while masquerading as an itinerant ronin with superb sword skills. Each exciting episode stands on its own, and ends with spectacular swordplay, albeit Yoshimune only uses the blunt side of his katana, as he refused to soil his blade with the blood of criminals. 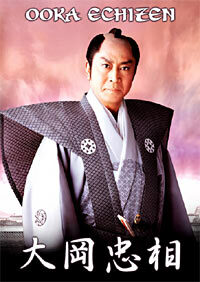 Aided by Edo Magistrate O’oka Tadashi, the bold shogun’s adventures are not to be missed! This volume includes episodes 23, 27, 28, 37, 41 and 47. $20 plus shipping for US and Canada only. For everywhere else, please email for invoice. 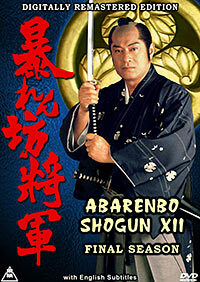 As all good things must come to an end, the longest running and most popular Japanese samurai television series Abarenbo Shogun wraps up in the twelfth season with some of the most exciting episodes ever filmed. Based on the adventures of legendary Shogun Tokugawa Yoshimune, who was known as the kindest most benevolent of all those who held the post, Yoshimune travels throughout the nation seeking out and destroying the corruption and injustice that he finds in each episode. Brilliantly portrayed by Matsudaira Ken this is the grand finale to end all grand finales! 10 episodes on 5 discs. Cast: MATSUDAIRA Ken, ISHINO Yoko, TAMURA Ryo, MATSUMURA Yuki, NAGOYA Arima, KITAJIMA Saburo etc. This is NOT the Hawaii Tv recording! Remastered from a new superior print! 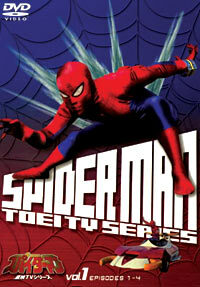 Each volume includes two episodes. With removable subtitles. Directed by: OZAWA Sigehiro etc. 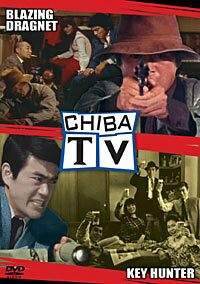 Sonny Chiba, one of the biggest names in Japan cinema, on the small screen in two ground breaking series! Ryu Saku, Akiko Shiratori and Jin Aso seems to be regular beat cops but when need be, they are the secret police that will tackle any problem. Led by the trigger-happy, short-tempered Shiro Ogami, they will investigate and solve crimes that are beyond the range of the police. Banded together by Japan's Kokusai Keisatsu (Universal Police i.e. INTERPOL) branch to tackle those crimes and cases that go beyond the scope of Japanese Law Enforcement, the KEYHUNTER are a group of former police officers and amateur sleuths. They are lead by the dapper, fedora wearing former Police Inspector Kuroki. $25 plus shipping for US and Canada only. $25 plus shipping for everywhere else. troubles. This volume includes 2 episodes! and suffered under cold laws. For these undercover agents, there is no tomorrow. "I can't let crimes go unpunished in Edo!" 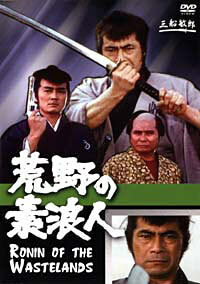 Edo o Kiru, a popular jidaigeki TV series that ran 214 episodes from 1973 - 2004. English subtitles and DVD extras. 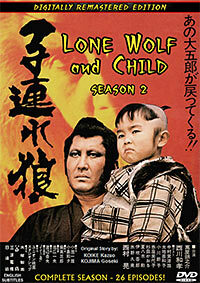 LONE WOLF AND CHILD - Complete Season 2! Original Story by KOIKE Kazuo & KOJIMA Goseki! 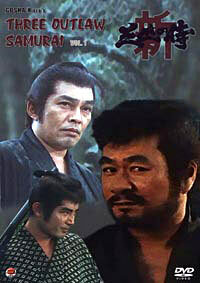 Moving from the big screen to your living room, the Lone Wolf and Child series continues the story of Ogami Itto and his son Daigoro as they seek revenge against the evil Lord Yagyu who murdered Ogami’s wife and framed him as a traitor. The assassin and his son take on assignment after assignment in order to raise enough money to mount their final attack on the Yagyu clan. 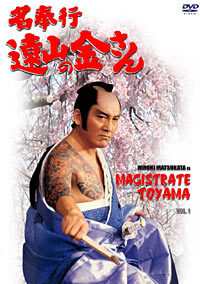 Bearing an uncanny resemblance to the original ‘manga’ character, Yorozuya Kinnosuke is outstanding in the lead role. Now on DVD for the first time in remastered form with superb picture quality and optional English subtitles the curtain raises as the Lone Wolf and Child take to the road along the edge of Hades as they encounter danger at every turn on their ultimate quest for vengeance! Loaded with samurai and ninja action! Cast: YOROZUYA Kinnosuke, NISHIKAWA Kazutaka, NISHIMURA Ko etc. $75 plus shipping for US and Canada only. $75 plus shipping for everywhere else. LONE WOLF AND CHILD - Complete Season 3! Ultimately bringing the exciting Lone Wolf and Child series to its conclusion, Ogami Itto and his son Daigoro will reach their final duel against the evil Lord Yagyu who murdered Ogami’s wife and framed him as a traitor. The assassin and his son have now raised enough money to mount their final attack on the Yagyu clan. Major star, Yorozuya Kinnosuke continues his outstanding portrayal in the lead role. 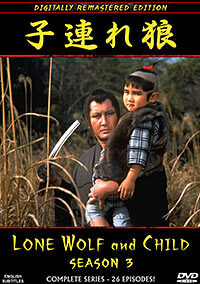 Now on DVD for the first time in remastered form with superb picture quality and optional English subtitles the curtain will close as the Lone Wolf and Child’s road along the edge of Hades brings them to their opportunity for vengeance! An ending to this epic tale that must not be missed! Cast: YOROZUYA Kinnosuke, SATO Takumi, SATO Kei etc. 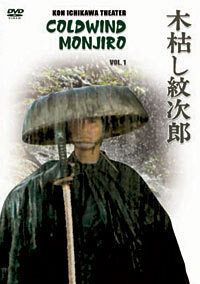 Yagyu Munenori, the best swordsman on earth! This is NOT the Hawaii TV recordings! Remastered from new amazing prints! With removable English Subtitles and extras! $30 plus shipping for US and Canada only. youth led a life of dissipation. He's most famous for the "Blizzard of Cherry Blossoms"
This volume includes two stand-alone episodes! With removable subtitles. This box includes episodes 1-12. $35 plus shipping for US and Canada only. $35 plus shipping for everywhere else. This box includes episodes 13-24.
behind, unwittingly righting wrongs and protectin the common man. 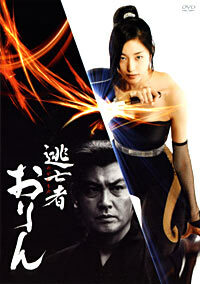 Cast: MIFUNE Toshiro, KAJI Meiko, IZU Sugeru, SAGAMI Jiro etc. A brilliant portrayal of one of the great warlords of old Japan, Sanada Yukimura stands head and shoulders above the rest. 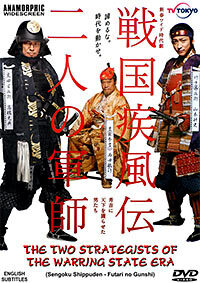 Powered by an all-star cast of regulars featuring Kitaoji Kinya in the lead, screen legend Wakayama Tomisaburo as Tokugawa Ieyasu, along with such stalwarts as Wakabayashi Go, Ichikawa Utaemon etc. 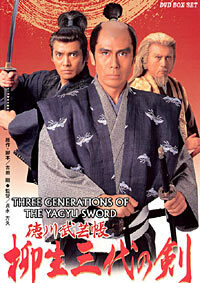 This series is highlighted by the authentic swordfighting choreography of the Japan Action Club (JAC) as Lord Sanada along with his deadly ninja assassins Kirigakure Saizo and Sarutobi Sasuke attempt to restore the rule of the Toyotomi during the brutal period just after the rise of the Tokugawa Shogunate. 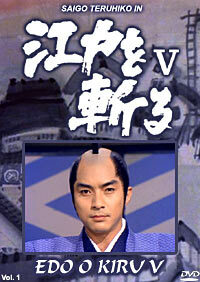 This is Japanese television at its best, bringing history to life in the most realistic and exciting manner. With removable English Subtitles and DVD Extras. 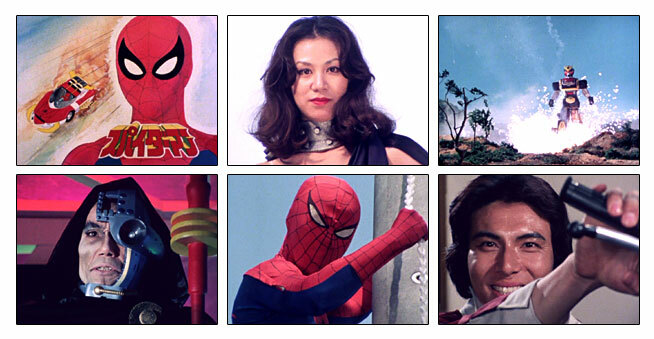 Cast: KITAOJI Kinya, WAKAYAMA Tomisaburo, KATO Kazuko, SUGA Kantaro, etc. All 8 episodes in this 2 DVD set! Follows the original manga closer than the previous movies! On her 18 birthday, Nami witnesses the brutal murder of her parents by a man with a burn on his hand. She is then falsely accused of the crime and sent to jail. Sworn to vengeance, Nami battles corrupt officials and cruel inmates to escape prison, only to search through the underbelly of Japan society to find the man with a burn on his hand, ‘stinging’ anyone in her way. $20 plus shipping for everywhere else. 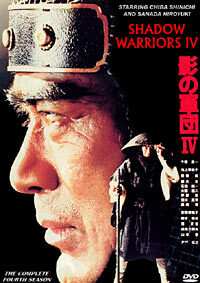 SHADOW WARRIORS IV - Complete series! 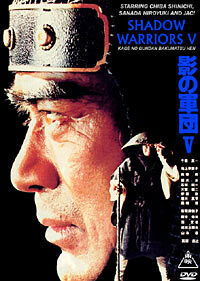 "Shogun's Ninja", "Legend of the Eight Samurai" etc. With removable English Subtitles and extras! Sold as a full set, 27 episodes! Click here to see the video quality improvements! $70 plus shipping for US and Canada only. $70 plus shipping for everywhere else. SHADOW WARRIORS V - Complete series! This is NOT the Hawaii TV recording! Remastered from new superior prints! With removable English Subtitle. Sold as a full set, 13 episodes! $45 plus shipping for US and Canada only. $45 plus shipping for everywhere else. The arrival of Perry’s Black Ships rudely awakened Japan from 300 years of peaceful isolation from the world. Men set their eyes beyond Japan and began to demand change in society. Old clashed with the new, and thus began an age of turmoil. Amidst this confusion, one group remained true to the old ways and risked their lives to preserve the traditional shogunate system. Led by their charismatic captain, Kondo Isami, the Shinsengumi upheld the code of honor of the samurai. Original story by famed author, Shiba Ryotaro. With removable English Subtitles and extras! Sold as a full set, 10 episodes! $30 plus shipping for everywhere else. from destroying the earth. Spiderman! Giant robots and monsters! Far out vehicles! What more can you ask for? This volume includes 4 episodes! $10 plus shipping for US and Canada only. $10 plus shipping for everywhere else. real Yagyu Family along with the first three Tokugawa Shogun, this series has it all! With removable English Subtitles and extras! Sold as a full set, 13 episodes! 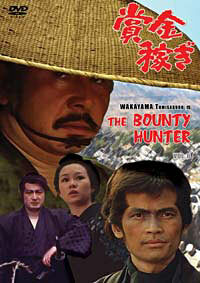 This series was created from “Three Outlaw Samurai”, the film that gave director Gosha Hideo a rise to fame, with all new cast except NAGATO Isamu. 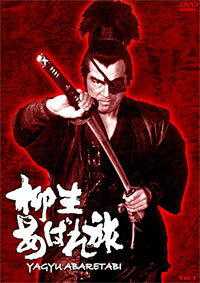 The realistic combat choreography and the outlaw-type personalities as main characters are considered to have influenced later period dramas such as “Kogarashi Monjiro”. Sakura Kyojuro is a spear master, Nagare Ukon is an Iai master, and Kaede Genzaburo is a master of double swords. The three ronin with exceptional fighting skills wander from region to region, crushes the evil that plagues the world and save the helpless. 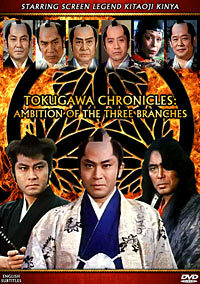 "Tokugawa Chronicles-Ambition of the Three Branches" tells of the battles between the three related families Kishu, Mito, and Owari, as each vies for the shogun’s seat in the line of succession. 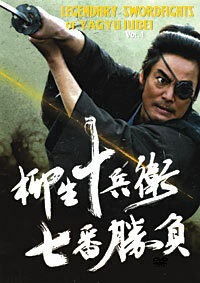 This action-packed series is a hallmark of the Japan Action Club (JAC), with great performances by Kitaoji Kinya in a dual role as Tokugawa Yoshimune (the "Roughneck Shogun") and Yagyu Shinrokuro, the two finest swordsmen in the nation. Opposing them is Harada Yoshio as the evil Yamanouchi Iganosuke. Rounding out this all-star cast are Nakamura Katsuo, and the peerless Ichikawa Utaemon. Highlighting the series are many fights between the young lord’s Negoro ninja helpers and their mortal enemies, the Koga ninja. History comes alive with the bloody blades of the three families at war within the highest levels of government as the search for a new shogun continues! Cast: KITAOJI Kinya, HARADA Yoshio, ICHIKAWA Utaemon, TANBA Tetsuro etc. During the Warring States era, two military geniuses stepped forward as strategists for Oda Nobunaga in his quest to unify Japan. Sir Hanbei and Sir Kanbei were the two strategists that strove to create a world with politics for everyone and with no wars. Exciting and though provoking this 7 part series brings Japanese history to life. Outstanding performances by Takahashi Katsunori, Yamamoto Koji, and Nishida Toshiyuki make this a must-see for samurai movie fans! Cast: TAKAHASHI Katsunori, YAMAMOTO Koji, NISHIDA Toshiyuki, OKUNUKI Kaoru, IBUKI Goro, HASHIZUME Isao, KATO Masaya etc. 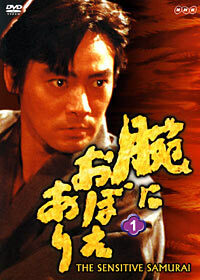 YAGYU ABARETABI - Complete series! 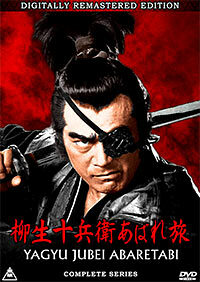 the one-eyed swordsman of legendary prowess), this is a series not to be missed. guaranteed to bring joy to those who watch it. With removable English Subtitles and extras! Sold as a full set, 26 episodes! Directed by: MATSUOKA Akinori etc. Chiba Shinichi reprises his most famous samurai role as Yagyu Jubei in this exciting series that brings to a conclusion the epic tale of the Yagyu clan during the early days of the Tokugawa shogunate. Embarked upon a road fraught with danger and filled with exciting swordfight action this is the ultimate vision of samurai action. With strong support from Shihomi Etsuko and Yamamura So, this is the full series available in a digitally restored edition for the very first time! 26 episodes on 9 discs. NARITA Mikio, YAJIMA Yuki, SAKITSU Ryusuke, MIYAZAKI Yoshiko etc.